Undergraduate Common Entrance Exam for Design (UCEED) is conducted by IIT Bombay for admission to Bachelor of Design (B.Des) programmes at IIT Bombay, IIT Guwahati, IIT Hyderabad and IIITDM Jabalpur. UPDATE (Mar 1, 2019): UCEED 2019 Result Declared, read more here. UPDATE (Feb 4, 2019): UCEED 2019 Final Answer Key released, read more here. 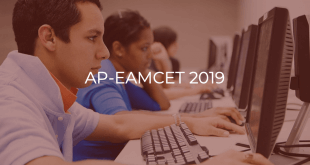 UPDATE (Jan 16, 2019): UCEED 2019 Mock Test now available, read more here. UPDATE (Jan 1, 2019): UCEED 2019 Admit Card Released, read more here. UPDATE (Nov 7, 2018): UCEED 2019 Last Date Extended, read more here. UPDATE (Oct 9, 2018): UCEED 2019 Registrations started, read more here. It is a Computer Based Test of 3 hours duration. The question paper will consist of 3 sections which will carry a total of 300 marks. Section A will contain Numerical Answer Type questions, Section B will contain Multiple Select Questions & Section C will contain Multiple Choice Questions. The answer is a number that needs to be entered using a virtual keyboard on the computer screen. No choices will be shown. Correct answer will yield 4 marks. Unattempted questions will yield zero marks. One or more options are correct out of four given choices. Marking all correct options only will yield 4 marks. Only one option is correct out of four given choices. Correct option will yield 3 marks. Incorrect option will yield -1 marks. A candidate can attempt UCEED a maximum of two times in consecutive years. A candidate should have passed the qualifying examination (Class XII or equivalent) in 2018 OR appearing in 2019. Those candidates who appeared for the first time in their qualifying examination in 2017 or earlier are NOT eligible. The official mock test is made available to the candidates appearing for UCEED. 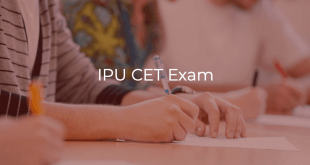 UPDATE (Jan 16, 2019): UCEED 2019 Mock Test now available. Candidates can access it here. The registration for UCEED 2019 will begin on October 9, 2018. The last date to register is November 9, 2018 November 14, 2018 while the last date for registration with late fee of Rs.500 is November 16, 2018 November 20, 2018. UPDATE: UCEED 2019 Registrations started, read more here. UPDATE: UCEED 2019 Last Date Extended, read more here. The aspiring candidates need to register on UCEED registration portal here. Candidates need to furnish all the details in the Online Application and upload the required documents. Required documents include a recent colour photograph, scanned copy of candidate’s full signature on white paper, qualifying examination certificate (if appeared in 2018) or a certificate from the school/ college principal in this format. The candidate is then required to pay the Registration Fee. Candidates are advised to save the application form for future reference. Candidates whose registration is complete in all aspects will be able to download the admit card from the online application portal starting from January 1, 2019. The last date for rectification of discrepancies in the admit card is January 5, 2019. The UCEED 2019 Question Paper and Draft Answer Key will be released on the UCEED website on January 25, 2019. Candidates can check the draft answer key and compare their answers to know the correct answers. The candidates who are not satisfied with the answer key may challenge it online by sending an email to [email protected], on or before January 31, 2019. Candidates have to mention “Comments on Answer Keys” in the subject of the mail. Final decision regarding the answer keys will be taken by the UCEED committee after consolidating all the comments from the candidates and the paper setting team. This decision will be binding on all the candidates. UPDATE (Feb 4, 2019): Check UCEED 2019 Final Answer Key here. Results will be declared on March 1, 2019. Candidates need to use their user login and password (created during registration process) for viewing the results. Hard copy of the UCEED score card will not be available. Obtaining a rank in UCEED 2019 does not guarantee admission to the B.Des programme. Rank lists will be prepared based on the total marks in UCEED 2019. There will be only ONE rank list. Only the candidates who score the minimum prescribed marks in each Section of the question paper and the minimum total marks will be included in the rank list. The minimum prescribed marks varies with the category. UCEED qualified candidates will have to apply separately for B.Des admissions. Candidates who are NOT citizens of India at the time of registering for UCEED 2019 (by birth or naturalization) and whose parents are not citizens of India and do not come under PIO/OCI category at the time of registering for UCEED 2019 are treated as foreign nationals. Seats allotted to foreign nationals are supernumerary with a cap of 10% of total available seats in the course. Candidates will NOT be allowed to carry any electronic device (mobile phones, smart phones, digital/smart watches, calculators, tablets etc. ), abacus, slide rule, log books, study material of any type, geometry box, etc. to the examination hall. Note: Candidates from the Science Stream with Physics, Chemistry and Maths as subjects are eligible to apply to all the four institutes. Candidates from any other stream (Science without Maths or Physics or Chemistry, Commerce, and Arts & Humanities) are eligible to apply to only IIT Bombay, IIT Hyderabad and IIITDM Jabalpur. Only UCEED 2019 qualified students can apply. The 4 institutes will have a common application form for admissions to their respective B.Des programmes. The common application form is available through the IIT Bombay Admissions Portal. The B.Des application processing fee for applicants of all category and gender is ₹1000. The application can be submitted after paying the application processing fee, uploading digital copies of relevant supporting documents, and uploading the signed copy of the completed application form (first page only).